I'm trying out this new thing called a diet and it's killing me. I find myself whining at around 2pm and it doesn't stop until I'm home for dinner... (my co-workers are clearly loving this). At lunch I proudly heat up my Lean Cuisine pretending it will fill me up for the whole day. Not to bash the diet Gods but that stuff does not last for hours. My stomach is growling about 90 minutes later... but I hold my ground. Soon you won't even recognize me on this blog. A new Gaby will appear before your eyes. Is it strange that I'm moved by this whole Jeremy Lin character... I'm even thinking of going to a Knicks game with the BF (don't tell him, nothing is set in stone). Oh hey dad, wearing your belt in this outfit, thanks for letting me borrow it unknowingly. Love ya! Alright already, I'll give you 100 dollars... right this way. I love the boots, such a great look! Ooh those booties are perfection honey! Glimmery and glammy for day, love it! 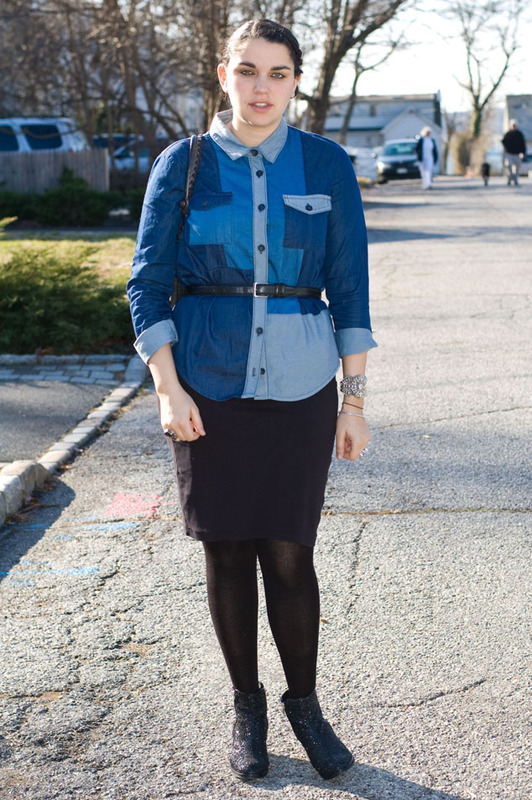 I love the patchwork blouse and the sunnies! That blouse is beyond amazing! It looks just like the one Joan Smalls wore months ago that made the rounds on the street style blogs. 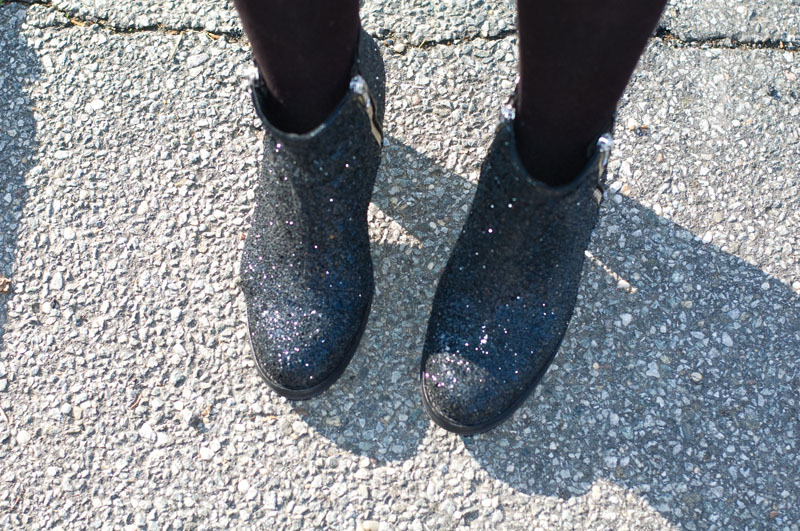 Also loving those glitter heels! 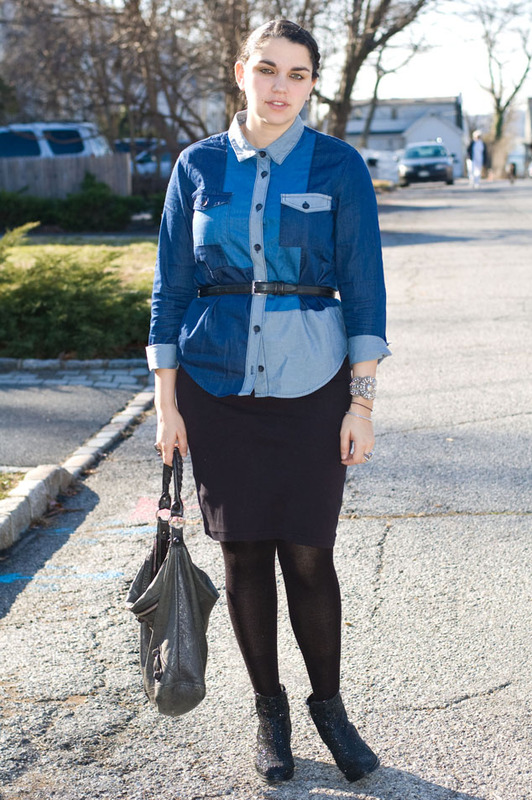 i love this spin on the classic button down. PS: I really enjoy your style of writing - you're very humorous ! everytime I see those shoes I want them more and more! great top and I love those sparkly boots! 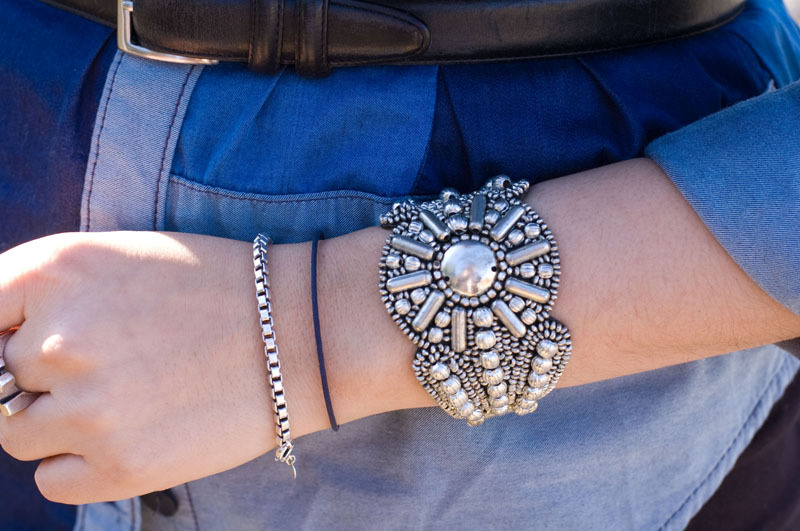 love this shirt and your bracelet! you look great! Please stop dieting. A, you don't need to. B, unless you make it a "lifestyle change" it will only work for as long as you're willing to starve yourself, and it isn't worth it. I would rather see this Gaby stick around on your blog. Soapbox aside, I love this shirt and how you belted it. Very cool. 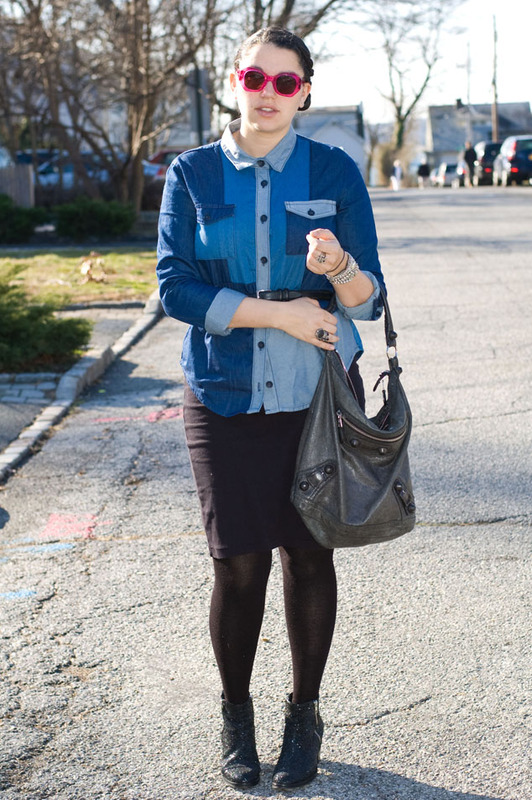 In ove with that denim blouse... loved how you paired it too! Amazin! I am so jealous that you have that bag haha, I want one so bad.